Let's face it. The biggest problem with Thanksgiving is that there just isn't enough time in the day to eat all the food we prepare for that one special meal. That's why we usually end up eating turkey three times a day for the next week-and-a-half. Well, consider that problem solved. 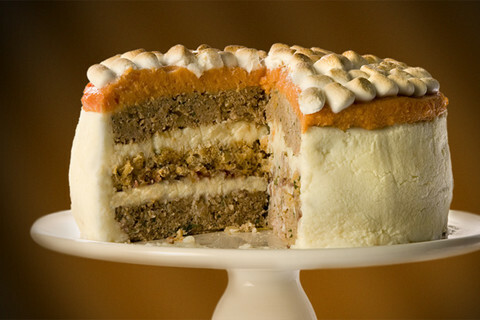 Introducing: The Thanksgiving turkey cake! Layered with ground turkey, sausage stuffing, sweet potatoes, cranberries, and "frosted" with mashed potatoes, this convenient concoction allows you to enjoy an entire Thanksgiving meal in one delicious slice. Click here for the mouth-watering recipe.